Map Update: Clashes And Casualties In Idlib ‘De-Escalation’ Zone And Arin 5 out of 5 based on 3 ratings. 3 user reviews. While the situation on all the key frontlines on the Syrian war has remained relatively calm over the past few weeks, sporadic clashes, artillery duels and casualties among combatants and civilians have become a common facor of the daily life in the “opposition-held” part of Syria. The Atmah refugee camp is flooded because of heavy rains. 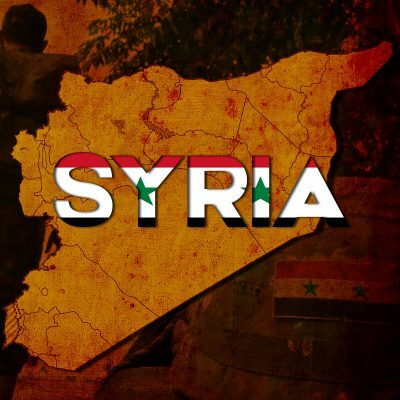 Is Syria people happy having only about 45% of its original territory and with its economy, culture, industry, and education destroyed by Israel-USA-NATO and their terrorists ? It looks like Russia is happy to see Syria in this way (of course, peacefully). What do Syria people think about this ? I is evident that Israel plan to destroy Syria was totally sucessful, next are Iran and Russia. Are you working in a troll factory in Israel? You come on these threads and lie and Russia bash every day. The Western Syria can’t economically survive longer without Eastern Syria, it’s a matter of time til they get along, Russia has no reason to hurry on this matter and it’s not her duty to unify Syria with any price. The no fly zone needs to be extended over the 30% of Syria under US occupation so that the Syrian government coalition forces can recover those territories. And Turkey, Iraq and Jordan need to stop supporting the occupation of Syria by foreign forces by allowing the US air and land access to Syria. Turkey needs to implement the DMZ agreement and turn control of Idlib over to the Syrian government coalition. And a multi national force needs to be stood up to expel the baby rapers from the territory that they illegally occupy and to shut down their Yinon plan.